The track on this level is the yard and industrial spurs. This track is 0% grade at 9 inches above the bench grid. There are four industrial spurs; three toward the lower right and one next to the yard. They are accessed via the 6th yard track to provide additional capabilities for freight car movements. 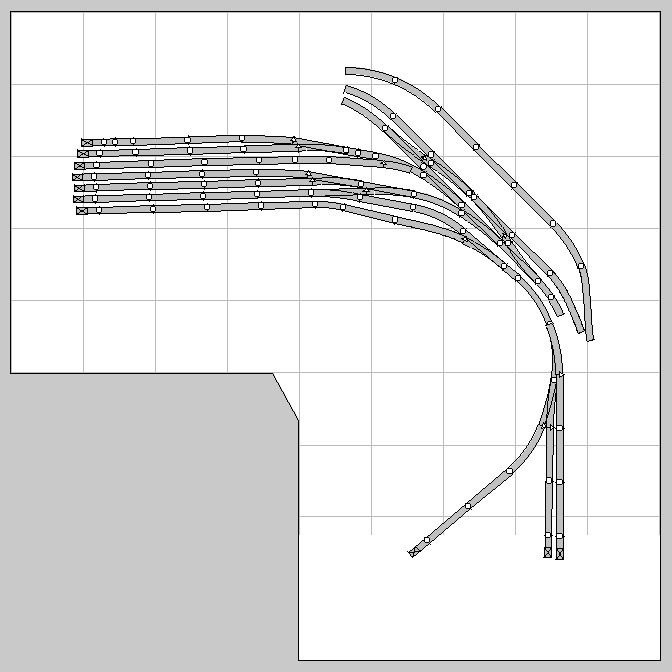 The yard tracks are electrically isolated for occupancy detection.